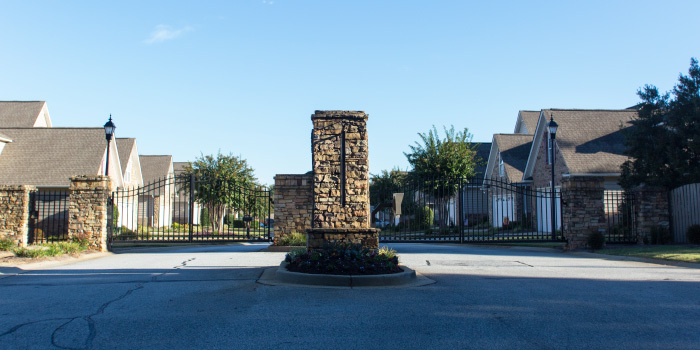 Pelham Springs is a gated community in the city of Greenville that offers both townhomes and single-family residences. This northeast side neighborhood is a premium location for prospective buyers in the area, due to its position right near the most active part of Greenville. Yet, it remains just slightly out of downtown enough to slow down the pace a bit. With Pelham and Butler Springs roads bordering the development, homeowners will find convenience here. There are nearly 120 townhomes in Pelham Springs, as well as a number of single-family structures. The appeal of smaller, manageable properties is a huge selling point for this community. Homes come outfitted with high-end appliances and fixtures. Hardwood floors and granite counters are par for the course at Pelham Springs. Open floor plans allow for families to live and entertain functionally, and some homes even feature outdoor patios to add to the living space. The sizes of residences at Pelham Springs range from a quaint 1,500 to 2,000 square feet, which means lesser maintenance and utilities. Prices start in the 100s and go up into the 200s, depending on which type of home is best suited to your needs. There is a community pool here for residents to enjoy in the summertime and homeowner's association fees are very low at under $200 per year. The schools that service the Pelham Springs area are rated above average by the state, so this is the perfect neighborhood for those with children. Close by can be found plenty of shopping and dining opportunities, with a Publix only seconds from the development. 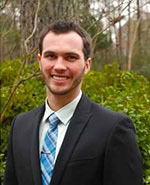 The interstate is also right down the street, offering for easy commutes from this well-kept community. Let us show you this perfect community. 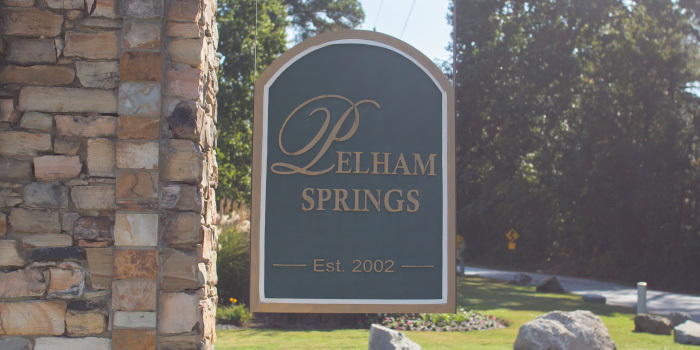 Your next home may be in Pelham Springs!